Lemax Devaney's Bakery Lighted Building depicts a ye-olde village teashop and bakery at the heart of the community with it's doors open to the public. Miniature building, seasonally decorated in readiness for Christmas, this Bakery is cloaked with snow in the depths of Winter. Internally illuminated village table piece suitable for placement within a themed Lemax village Christmas display. Devaneys Bakery was welcomed to the Lemax Caddington Village miniatures collection in 2003. 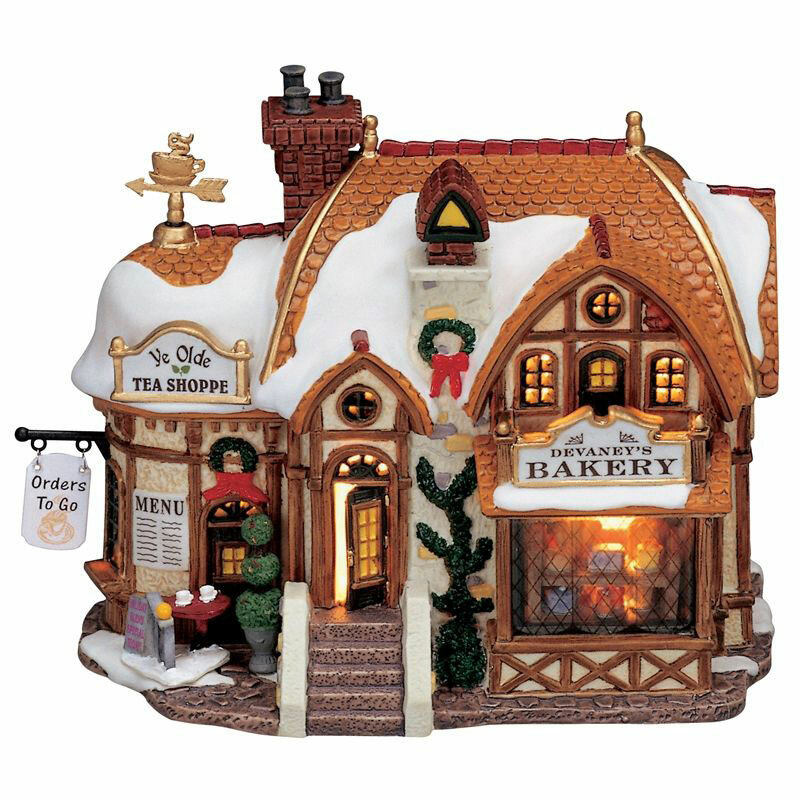 Devaney's Bakery is a single porcelain hand painted miniature building on a single base, that offers a welcoming internally lit window scene. Very happy with my buy... speedy delivery and packed well.